The California Assessment of Student Performance and Progress (CAASPP) monitors the results of the Smarter Balanced assessments that were administered this past Spring to gauge how well students are progressing toward college and career readiness with our new rigorous state standards. The new tests measure real-world skills in English and math, such as application of knowledge, critical thinking, analytical reading, persuasive writing and complex problem solving. Like the new academic standards, the new tests are too fundamentally different from the old exams to make any reliable comparisons between old scores and new. In many cases, new textbooks and materials have only recently arrived at schools. That's why this year's test results will only establish a baseline for the progress we expect students to make over time. No student, parent or teacher should be discouraged by scores, which will never be used to determine whether a student moves on to the next grade. Rather, the results will provide an opportunity to focus on the needs of students and support teachers and schools in their work. The Smarter Balanced assessments are new computer based tests that measure student knowledge of California’s English language arts/literacy (ELA) and mathematics standards. These new assessments replace the former paper-based, multiple-choice assessments for students in grades three through eight and grade eleven. The first statewide administration of these assessments will take place in spring 2015. 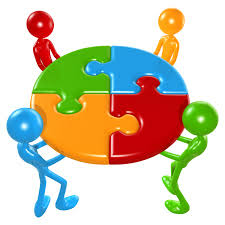 The Smarter Balanced assessment system uses both computer-based and computer-adaptive tests, providing students with a wider range of questions tailored to more accurately identify the knowledge and skills individual students have mastered. The tests include performance tasks that challenge students to demonstrate critical thinking and problem-solving, and to apply their knowledge and skills to real-world problems. The new computer-based tests include supports for English learners and students with special needs, allowing these students the ability to effectively demonstrate their knowledge and skills. Like the new academic standards, the new tests are too fundamentally different from the old exams to make any comparisons between old scores and new. This year’s results will establish a new baseline for the progress we expect students to make over time. This is a new test, based on new standards, using new instructional materials. It is expected we will see an initial drop in the percentage of students "meeting" standards, which is expected to rise as students are exposed to multiple years of instruction based on the new standards. Parents will receive a report of their child’s scores. But no student, parent or teacher should be discouraged by these scores, which will not be used to determine whether a student moves on to the next grade. Rather, the scores will represent an opportunity to focus on the needs of students and support teachers and schools in their work to achieve college and career readiness. 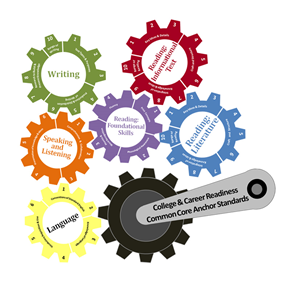 The new Common Core State Standards in English language arts and mathematics were designed to prepare students for the rigor and performance expectations of college and the workplace. CCSS allow teachers to take a focused set of standards and teach them in depth. With these new standards, students in math classes will learn how to consider multiple ways to solve a problem and how to explain their rationale behind their answer. In English and other subjects, students will learn how to gather evidence from multiple sources to support a position in a classroom debate or to write an argumentative essay. 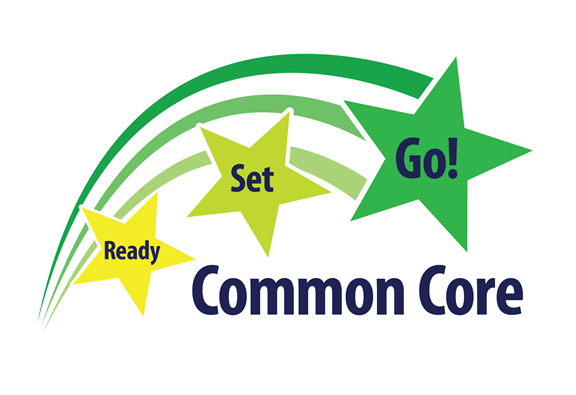 Since 1998, students in Grades 2 to 11 have taken the California Standards Test (CST) each spring. New tests currently being designed by Smarter Balanced Assessment Consortium (SBAC) will replace the CST beginning in spring 2015. These tests will ask students to explain their thinking and apply their knowledge more than previous multiple-answer tests could. They also will give parents and students accurate information about whether students are on track to graduate high school and are ready for college and the workplace.